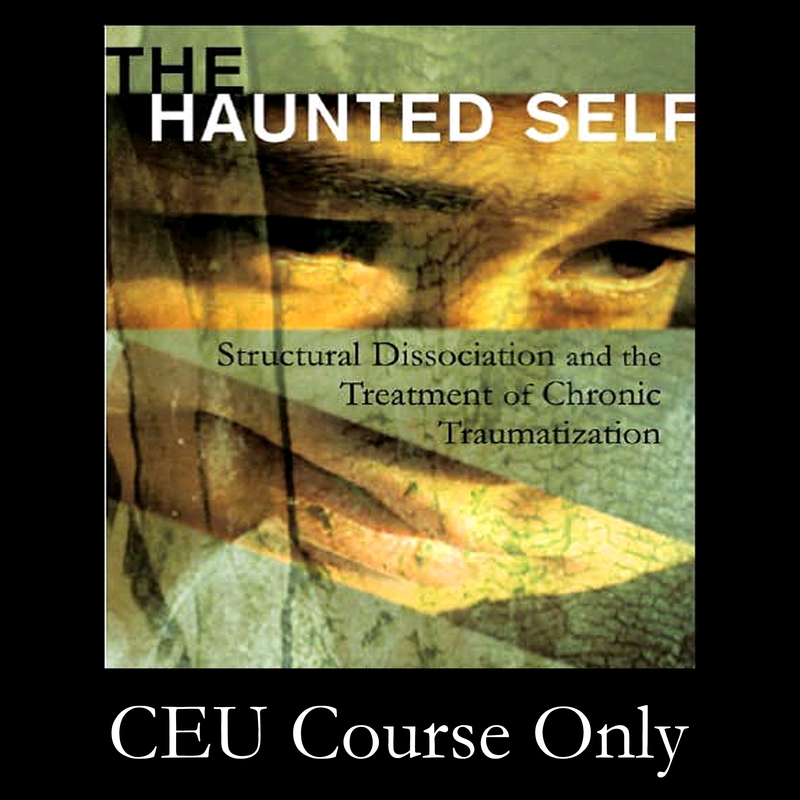 CLICK HERE to order our Home Study Program for CEUs based on The Haunted Self: Structural Dissociation and the Treatment of Chronic Traumatization. Based on the theory of structural dissociation of the personality in combination with a Janetian psychology of action, the authors have developed a model of phase-oriented treatment that focuses on the identification and treatment of structural dissociation and related maladaptive mental and behavioral actions. Onno van der Hart, PhD is a psychologist, adult psychotherapist (retired) in private practice and researcher; he is Emeritus Professor of Psychopathology of Chronic Traumatization at the Department of Clinical and Health Psychology at Utrecht University, the Netherlands. He is a scholar in Pierre Janet Studies and is a past President of the International Society for Traumatic Stress Studies (ISSTS). Both nationally and internationally, he is a clinical consultant and trainer on diagnosis and treatment of complex trauma-related disorders. He is the recipient of a number of awards for his clinical and published works. Apart from having co-authored with Ellert Nijenhuis and Kathy Steele The Haunted Self: Structural Dissociation and the Treatment of Chronic Traumatization (Norton, 2006), with Suzette Boon and Kathy Steele, he wrote Coping with Trauma-related Dissociation: Skills Training for Patients and Therapists (Norton, 2011), and with Kathy Steele and Suzette Boon, Treating Trauma-related Dissociation: A Practical, Integrative Approach (Norton, 2017). Ellert R.S. Nijenhuis, PhD is a psychologist, psychotherapist, and researcher. He engaged in the diagnosis and treatment of severely traumatized patients for more than three decades, and teaches and writes extensively on the themes of trauma-related dissociation and dissociative disorders. He is a research consultant at Clienia Littenheid, Switzerland, collaborates with several European universities. His publications include the book Somatoform Dissociation that also appeared in a German translation. With Onno van der Hart and Kathy Steele he co-authored the book The Haunted Self: Structural Dissociation and the Treatment of Chronic Traumatization. The first two volumes of the trilogy The Trinity of Trauma: Ignorance, Fragility, and Control appeared in 2015. The third volume, Enactive Trauma Treatment was released in 2017. The International Society for the Study of Trauma and Dissociation granted him several awards, including the Lifetime Achievement Award. Kathy Steele, MN, CS has been in private practice in Atlanta, Georgia for over three decades, specializing in the treatment of complex trauma, dissociation, attachment difficulties, and the challenges of complicated therapies. She is also an adjunct faculty at Emory University. Kathy is sought as a consultant, supervisor and trainer nationally and internationally. She is a Fellow and past President of the ISSTD, and has served on the task forces to develop treatment and practice guidelines for Complex PTSD and for Dissociative Disorders. She is the recipient of a number of awards for her clinical and published works. Kathy has (co) authored three books with her Dutch colleagues as part of the acclaimed Norton Series on Interpersonal Neurobiology, including The Haunted Self (2006), Coping with Trauma-related Dissociation (2011), and most recently Treating Trauma-related Dissociation: A Practical, Integrative Approach (2017). Alternatively, you can purchase a copy of the book by CLICKING HERE or HERE.